As the first FreePBX World rapidly approaches (it’s exactly two months away) we are busy preparing presentations and working with many of the FreePBX Certified Partners that will be presenting their products that are a big part of the FreePBX EcoSystem. Since announcing FreePBX World I’ve received calls from many hardware, software and service providers looking to be involved. The major factor when choosing partners to participate at FreePBX world has been to choose partners that have integrated their products tightly into FreePBX to make the user experience as easy and simple as possible. FreePBX Certified Partner Products make up the very fabric from which the FreePBX EcoSystem is sewn together. The FreePBX Hardware/Software Partner Program is designed for any hardware or software manufacturer that builds or offers products that help complement and expand the FreePBX Product and EcoSystem. Companies with products that integrate tightly with FreePBX can apply to become a FreePBX Certified Partner by contacting us here. The countdown has begun- we are sitting at 60 days away from FreePBX World! Preston McNair, on behalf of the FreePBX and Schmooze Team. We are regularly contacted by companies that want to grow their PBX and VoIP services offerings. Many of these companies are looking for custom solutions to increase the success they are already seeing by utilizing the FreePBX Ecosystem. Some are looking to move into the hosting business, others for customization and branding to fit their companies product or service image. For those companies that are looking for that next step in either a commercially supported hosting platform or custom branding options we now offer two distinct OEM platforms. 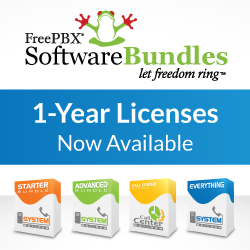 The first of these programs, is our our Custom OEM Branding for the FreePBX Distro, this program provides a custom branded PBX platform that can be installed on either your own premise based equipment, or virtually on supported virtualization platforms. Our second OEM program is our PBXtended Turnkey hosted platform, which provides a commercially supported Hosted PBX platform, allowing your company to focus on generating revenue, not building and supporting the underlying infrastructure. 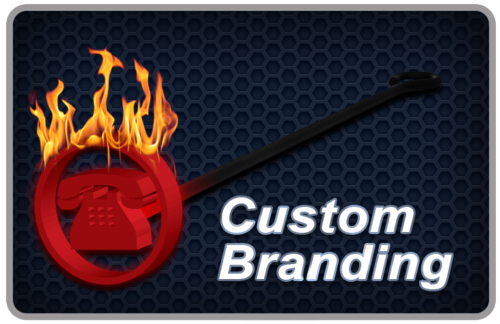 Our OEM Custom Branding program allows your to have your own branded and custom configured PBX platform that is continually updated and maintained by our staff. The Custom OEM ISO is regularly updated with the latest stable versions of the underlying telephony engine, GUI interface and Operating system as well as over 400 separate components and features including any applicable bug fixes and feature updates. The OEM Custom Branding platform can be customized both visually and built with any supported third party application or RPM you wish to include , discount engineering hourly rates will be applied for any additional packages you wish your distribution to support. Once you install a new PBX with your Custom ISO we also provide update scripts that can be ran from the command line (or automatically via the GUI for licensed users of SysAdmin Pro) to update your existing customers to the latest version of your PBX software. For resellers and system integrators this allows you to promote your brand and product services as your own, without the need to invest in building and maintaining your own PBX platform. You can put your resources into selling and expanding your revenue and customer base. For larger companies and organizations Custom Branding allows you to build a PBX platform that can customized to your internal needs and quickly deployed and replicated across multiple locations when needed. The pricing structure for OEM Branding consist of an initial ISO build & licensing cost, then an annual licensing cost that includes keeping your ISO file updated with the latest version of the FreePBX Distro as well as update paths for your existing clients. The PBXtended Turnkey OEM utilizes our feature rich PBXtended Platform as it’s base, which is a commercially supported PBX platform with more included features than the OSS FreePBX platform. This program allows you to use our virtualization platform, on your own hardware in your data center. This structure includes automatic feature upgrades and system patches as they become available, keeping your clients always running the latest version of our PBX software. Thereby allowing you to focus on selling your hosted PBX service without the development and support cost involved with building and maintaining your own internal scalable hosted platform. Turnkey OEM allows your sales staff to place orders directly from a web portal without the need to get a system admin to provision your new customers. PBXtended can be used directly with your own trunking service or partnerships , or you utilize our SIPStation trunking service for a fully integrated service. The turnkey PBXtended platform requires a one time buy in fee to get the platform setup on your hardware in your data-center, then a monthly recurring fee based on the number of active subscribers to the service. This pricing structure allows you to economically scale your hosted services, while at the same time enabling Schmooze to continue to support your infrastructure and continue the ongoing development of the PBX Platform. To schedule an online demonstration of either platform, or to discuss system requirements and pricing please contact us. The VQ Plus Module from Schmooze on Schmoozecom.com. Build Dynamic Queue Penalty Rules that change the longer a caller waits in a queue. Example: Set a queue to only try agents with a penalty of 0-3 for the first 30 seconds, then only try agents with a penalty of 2-5 for the next minute. A virtual queue allows you to change the settings of a queue before you route the call to your queue. Example:Setup a single support queue “4000”. All normal support callers go to Queue 4000, but you could create a virtual queue “VIP” that would allow you to change the CID prefix of the callers that come through to be VIP before they are sent to queue 4000. This allows you to setup one queue for all of your agents to log into, but route callers through the Requires FreePBX 2.11 or Greater virtual queue to change settings before going to queue 4000. The standard queue only allows you to send unanswered calls to a single destination regardless of why the call was not answered. VQ Plus gives you the ability to control destinations for additional reasons. 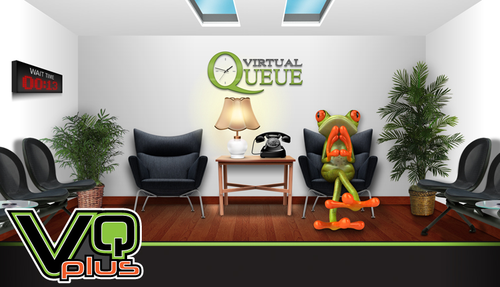 VQ Plus adds the ability to route both the agent and callers to any destination on hangup of a queue call. Example:Route the inbound callers to a survey system automatically when the agent hangs up the call, or send the agents to a similar destination when the caller hangs up the call. VQ Plus and other FreePBX Commercial Modules can be purchased directly in our FreePBX Market Place. FreePBX Commercial Pro Modules are additional commercial modules that can be added to enhance and add functionality to a base install of FreePBX. User & Installation guides for VQ Plus can be found in the FreePBX Wiki.